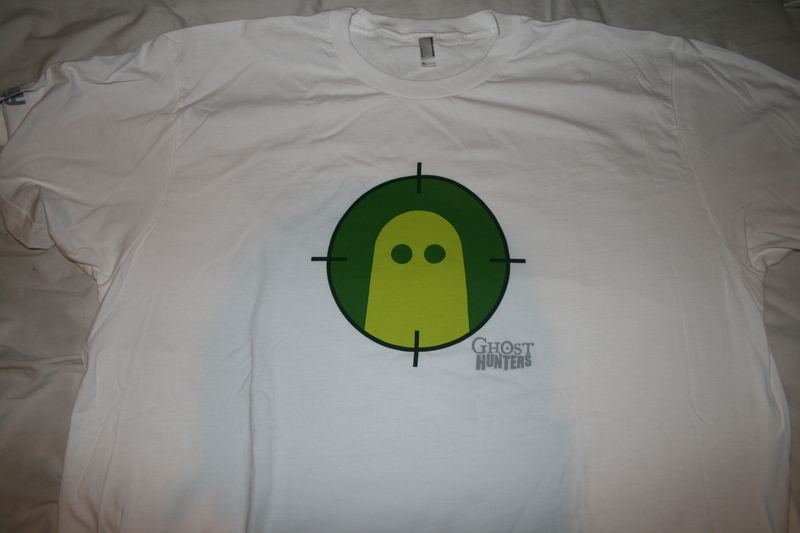 The Wolfman Giveth Away: Ghost Hunters shirt! 1) Retweet my message about this giveaway. 2) Leave a comment on this page of what your favorite ghost/haunted movie is and your Twitter username so I can see you’ve retweeted it. 3) Make sure to fill out the correct email address when leaving a comment (don’t worry, I’m the only one who sees the email address so you won’t get spam). 4) Sit back, wait until Sunday, Feb. 12th for win a pick my favorite comment! That’s it! Feel free to make the comment dumb/funny/wacky/whatever. I say I will pick my favorite, so it might be the worst answer or it might be the best answer, who knows what the hell it’ll come down to. I’ll contact you with the email you provided to get your mailing address, and fun will be had! Again, all you have to do is retweet, leave a comment with your username/email and favorite ghost movie, and then wait until Feb. 12th. Have fun and stay safe.